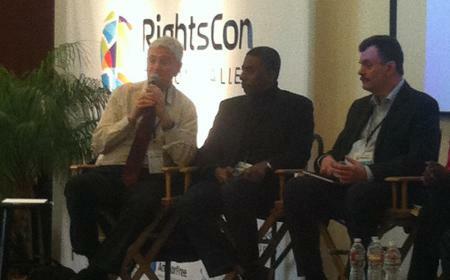 RightsCon is organized by Access and will take place in San Francisco, California, from March 3-5. The Industry Dialogue welcomes this chance to engage with a variety of stakeholders on issues facing telecommunications companies as they seek to respect users’ rights to freedom of expression and privacy and to implement the UN Guiding Principles on Business and Human Rights within their companies. On Tuesday, 4 March at 2:30 pm, ID Chair Yves Nissim of Orange will take part in a panel entitled Game of Phones and discuss how the ID Guiding Principles are being implemented into company operations, as well as avenues for greater transparency in the telecommunications sector. Later that afternoon, Patrik Hiselius of TeliaSonera will join a panel discussion on the GNI and ways in which ICT companies can engage different stakeholders in their efforts to respect users’ rights to freedom of expression and privacy. On Wednesday, 5 March, Patrik Hiselius will join BSR and others for an informal discussion of international parent company responsibility for human rights at 12:00 pm. Additionally, Yves will take part in sessions that explore the criteria used by the Ranking Digital Rights project to evaluate telecommunications companies on policies and practices related to freedom of expression and privacy, and Patrik will participate in sessions dedicated to transparency reporting and theInternational Principles on the Application of Human Rights to Communications Surveillance. If you are attending RightsCon, please join us for what are certain to be lively discussions.